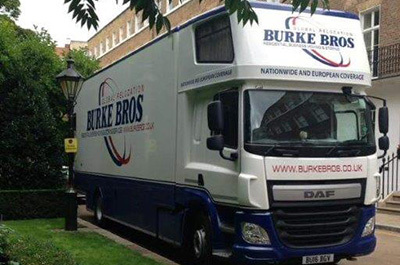 Burke Bros Moving Group has decades of moving and relocation experience to Germany and throughout Europe. We operate regular services to and from Germany. 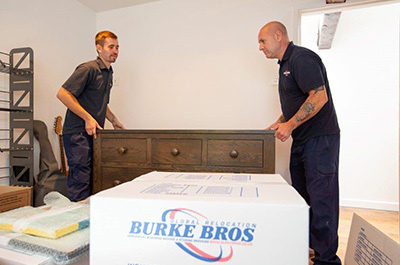 Our services involve the movement of your possessions ‘door to door’ and can include a packing service. Fragile items are packed using packing paper, tissue, bubble wrap or polychips. Export-strength cartons in various sizes are used to accommodate books and heavy items. Special linen cartons are used as hanging garment carriers. Furniture is wrapped with padding and transit blankets. Items can also be crated. Our international department have many years of experience of clearing customs into and out of Germany and offer complete step by step support to complete the necessary customs documents. There are several documents that you will need to be able to move your effects to Germany, they include; Customs Registration form 0350;notice of foreign authority about change of residency showing how long the person lived outside the EU (ABMELDEBESTAETIGUNG) or a letter from a third party (employer, German Embassy) confirming that the shipper has lived or planned to live more than 12 months in a foreign country; registration of the shipper at his new residence in Germany (ANMELDBESTAETIGUNG); copy of passport; renting contract of a domicile (if possible); contract of employment (if possible); goods inventory list; a letter signed by the shipper that the following goods are not part of the shipment is useful- firearms, alcohol, tobacco, cigarettes, tea and coffee. Our international department will advise you of the requirements prior to your move. One of our experienced estimators will visit your home to determine the volume of goods that will be making the trip to Germany, as well as your packing requirements. 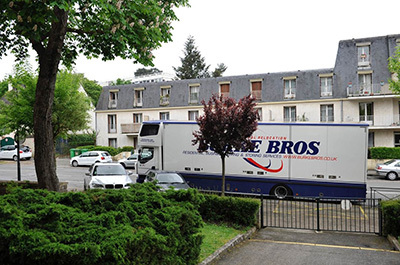 Our representative will discuss with you how the moving process works, from the collection stage in the UK right through to delivery to your new residence in Germany. We will give you a realistic quote, without obligation, based on a first class high quality service. We can move you to any location in Germany you desire, including the popular locations of Berlin, Munich, Frankfurt, Hamburg, Cologne, Dresden, Weimar and Dusseldorf. 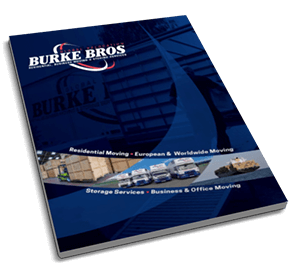 If your home contents have to come into store for weeks or months during the process of relocating to Germany, Burke Bros Moving Group have 50,000 sq.ft of storage facilities and offer two options: containerised storage and self-access storage at our head office in Wolverhampton. We can also arrange storage in Germany if this is required. 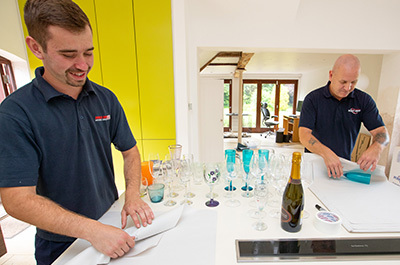 As members of the BAR (British Association of Removers) and FIDI (the Global alliance of International quality international removal companies) we are regularly inspected and adhere to their strict code of practices. Our membership with the BAR and FIDI organisations also guarantees your money and move are thoroughly protected.